If insufficient income and credit history, or an inability to meet other approval factors keep you from qualifying for a mortgage, you may need a co-signer. By signing the credit application with you, your co-signer agrees to be equally liable for the repayment of your mortgage loan. In the event you default, your co-signer has an equal amount of liability. The lender can pursue him for full collection. The co-signer on your loan is required to sign all loan documents, with the exception of the deed of trust or mortgage used to pledge your home as collateral for the loan. Your co-signer does not have a security interest in your property and his name does not appear on the deed to your home; therefore, he does not sign the security instrument documentation. Your co-signer is a borrower under your mortgage loan agreement and is just as responsible for the full repayment of your loan as you are. Your mortgage loan will even affect her credit rating, as it is reported on her credit report. Your co-signer has full responsibility for your mortgage loan debt with none of the benefits of owning the property. If you become delinquent on your loan payments, your lender has rights under your loan agreement to go after your co-signer for the past-due amounts. 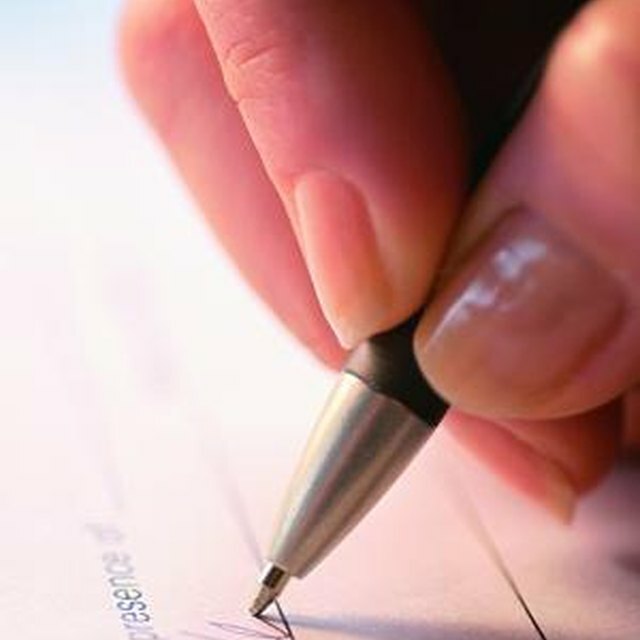 In the event you file bankruptcy, your co-signer is at risk of becoming solely liable for the repayment of your loan. Your co-signer’s liability for your mortgage loan is only extinguished if you sell your home to pay off the loan, or by qualifying for a new loan -- without his creditworthiness to help you -- to refinance your mortgage. Your mortgage loan documents contain provisions that address what constitutes loan default, as well as what rights your lender has if your loan enters default. You must cure all of the defaults your lender has identified, or you may be subject to a diminished credit rating or the loss of your home through foreclosure. Your co-signer is also responsible for curing all loan defaults, and can suffer the same financial consequences as you do, even though she is not the primary borrower.